Just think, had you pursued your dreams people would write nasty things about you. Joan Rivers would have taken apart your red carpet attire, at least one time. Your son would have grown up under a microscope. Your friends wouldn’t have been as cool as we are. I’ve always thought of fame as fool’s gold. I’ll take my privacy, thanks. I just saw O’Neill’s ‘Hughie’ with Forrest Whitaker. He went up on his lines, that idiot. Broadway prices = remember your lines, please. I have a friend who’s an editor at NBC news who won an Emmy for a story she helped with. She found out that she had to pay for it ($300, I think) and she said, “No thanks.” Can you imagine!? She won an Emmy and had to pay for it?!? How awful — how tacky! Growing up in Westport, celebs were all around. I watched how people fawned and pointed at them with visceral embarrassment. Even when I wanted to be an actress, I wanted my anonymity. That’s the only part of the dream I managed to get! 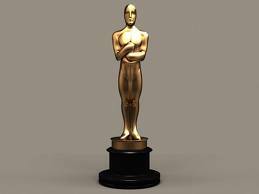 I don’t have ANY Academy Award stories ;-). My mother likes to remind me that I promised her I would win one some day and thank her from the stage. She likes to tell me she’s not getting any younger…. You are welcome toco-opt my story! And I’m sure you richly deserved every one of your purloined Oscars! Be thankful it was 1983, otherwise your acceptance speech could have be interrupted by Kanye Ima-let-you-finish West. I can’t believe I did that. Still. And it’s been more than 40 years! Staying in that closet for one minute did you in. Poor timing. I would have stayed in there for one hour, or two, or four, or however long it would have taken for everyone to leave. But tonight when they name the Best Actress, I will imagine that it’s your name they’re calling, so that in my mind you will have won your third Oscar. Will that help? That will be awesome, assuming (1) it will make the news; and (2) you learn my full name. It’s already in the news, since it’s in the comments section of your famous blog. And isn’t your full name Elyse Fiftyfourandahalf? Oh I forgot. We famous folks are so flighty. Oscar by association – is that an award category? It damn well should be! I hope you gave them back to the deserving soul who earned them! Of course you did, you were drinking, weren’t you? Sadly, yes. I didn’t get to keep it — not even long enough to get a picture. And it hardly seems fair. He went on to win another one, and one of his kids (not the one I knew) went on to win one. It’s just not fair that I didn’t get to keep Oscar or Oscar. There was no paparazzi? No designer gown? No gift bag? You deserve a do-over.